In this fast paced world that we live in, it shouldn’t come as a surprise that if we can find a way to complete a task in a shorter period of time, we will more than likely grab it with both hands. Programmers and coders love to write scripts which automate repetitive tasks, and where possible, we all get our computers to do the leg work for us so that we don’t have to. But what about users of smartphones? Surely, they should be able to benefit from time saving techniques? A lot of smartphone owners spend a large portion of their time sending text messages, typing or replying to emails. Even loading up the relevant App Store and typing the name of applications can be a time consuming process. How many hours do you think you have spent typing out tweets through your Twitter app, or updating your Facebook status via your smartphone? Fortunately, if you are an Android owner, the good people over at Swype Inc. have your best interests at heart with their Swype technology which makes it faster and easier to input text onto the screen. 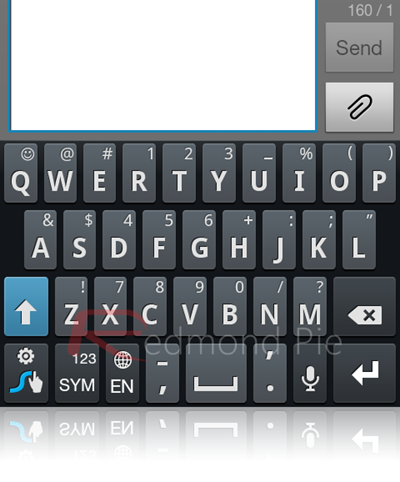 Swype works, as the name suggests; allows users to make one continuous movement across the device’s keyboard, moving across each letter individually. The patented technology recognizes the desired word, allowing up to forty words per minute to be typed on a smartphone’s screen. The actual Swype application was designed by the company to work without issue across a number of devices such as phones, tablets, virtual screens and games consoles. We have recently heard in the last few hours that Google may be intending to launch a new version of the Android operating system in the next few months, but that won’t stop users from updating to the current Ice Cream Sandwich version which now, thankfully has a beta version of Swype bringing ICS compatibility on the roster. It was nearly ten days ago that the company mentioned that a 4.0 version would be coming with ICS support, and they have stayed true to their word, with the beta version being available for download via the Swype beta website. If you have been waiting patiently with your Ice Cream Sandwich device, lost in a world where you can’t just run your finger around the keyboard and it magically knows the word you meant to type, then head on over to this website for full details of the new Swype beta with ICS Support.